Last week British Beauty Addict hit 1,000 Bloglovin’ followers and if I’m honest I’m still processing the fact that over 1,000 people read my little beauty blog. I feel truly humbled, so thank you. 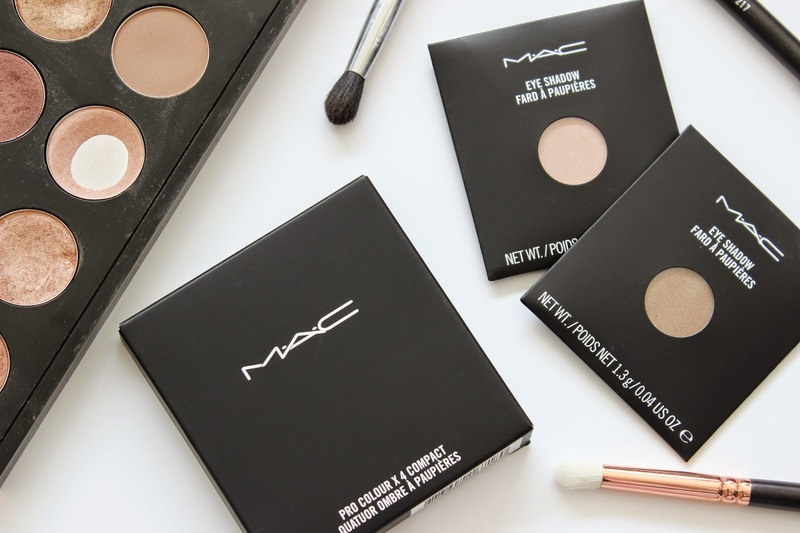 I’m certain that by now the majority of you know I have a slight obsession with eyeshadow palettes and with my MAC Eyeshadow Palette and my MAC Eyeshadow x15: Warm Neutral Palette being my two most read posts, I thought it would only be fair to give you guys the chance to win two of my favourite MAC eyeshadows, along with your very own quad to put them in! Now, I thought long and hard about which two shades to pick, but I finally settled on 'Naked Lunch' and ‘Woodwinked'. I picked 'Naked Lunch' as it is my most worn eyeshadow. In fact I have nearly run out!. It’s a warm shimmery pinky beige and it looks lovely when worn all over the lid and is in fact, very similar to the prime shade in Charlotte Tilbury’s The Dolce Vita Eyeshadow Quad. And how could I not pick ‘Woodwinked', a gorgeous metallic gold and the first ever MAC eyeshadow pan I bought. These two shades suit all skin tones and let’s be honest, who wouldn’t want to own MAC eyeshadows?! To enter and be in the chance of winning, all you need to do is follow the instructions on the Rafflecopter widget below. The only compulsory entry is that you must be following British Beauty Addict via Bloglovin. I have also added a few additional entries, if you fancy increasing your chances of winning! The giveaway is open internationally and ends on 23/02/15. One winner will be chosen at random and all entries will be checked.